The COBB 2008+ BMW 1-Series Sport Spring Kit is the best first step to a better handling and better looking car. The 1.2" drop front and rear lowers the car's center of gravity to improve cornering speed and response while also minimizing wheel gap for a sportier look. This aggressive stance reduces squat and wheel hop under hard acceleration. 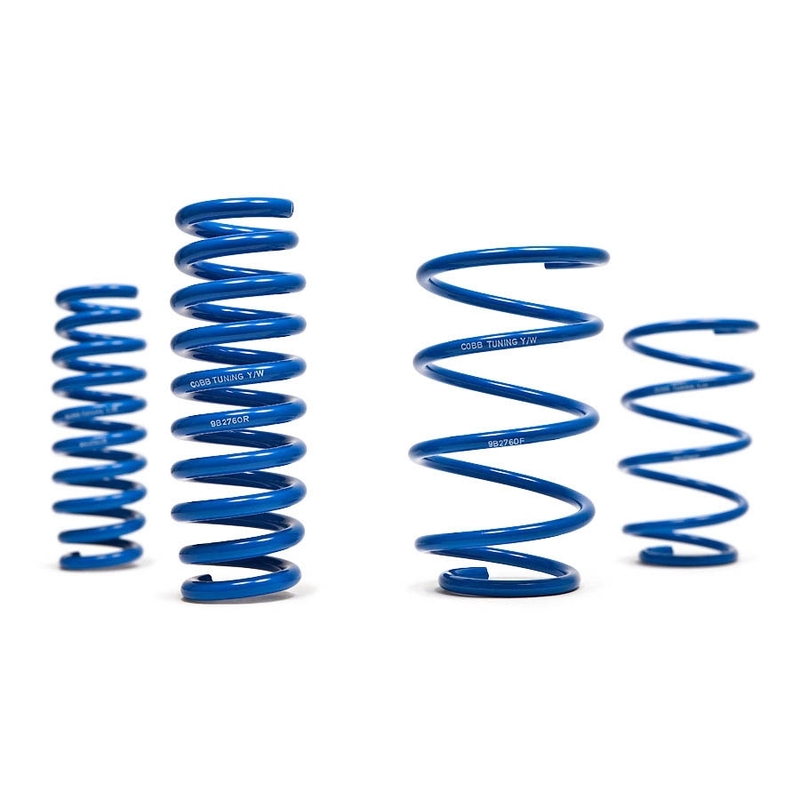 Spring rates of 148 lbs/in front and 457 lbs/in rear provide the sport feel without being unnecessarily harsh or bouncy. 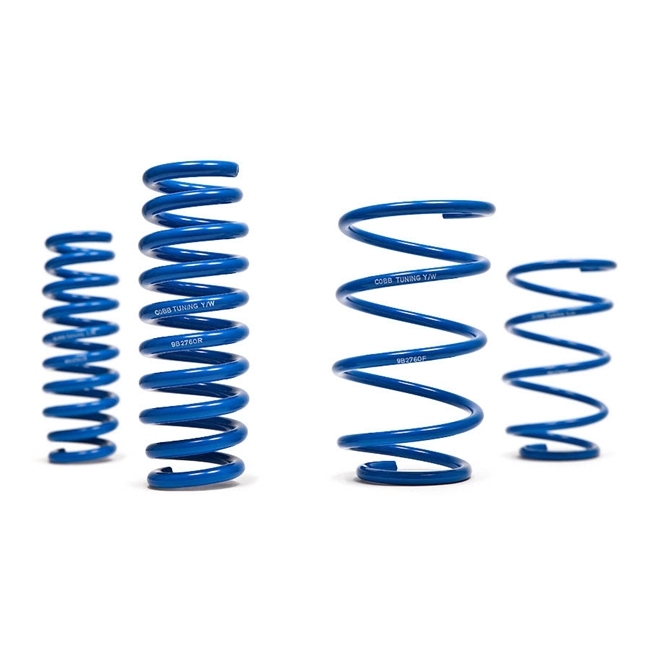 Road course tested and real world approved, the COBB Tuning Sport Spring Kit is the best direct replacement spring available for your 2008+ BMW 1-Series. The COBB 2008+ BMW 1-Series Sport Spring Kit enhances handling with a lower center of gravity and firmer spring rates while eliminating unsightly wheel gap.